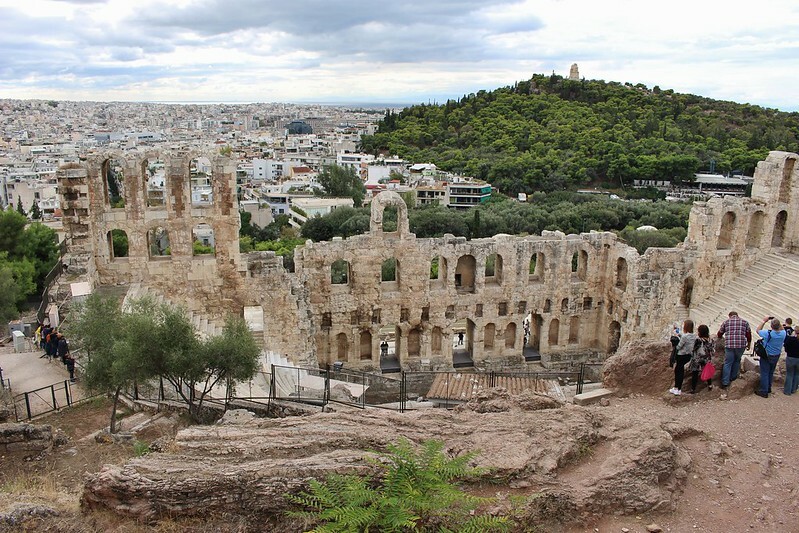 My days from Friday to Sunday were filled with the TBEX travel blogger conference and the rest of the week with recovering from it... My expectations for Athens were not so high, but I'm liking it more and more each day. It's colorful, friendly, and there's always something new around the corner. Welcome to our weekly recap! This one's for October 24th - 30th, which is week 43, 2014. 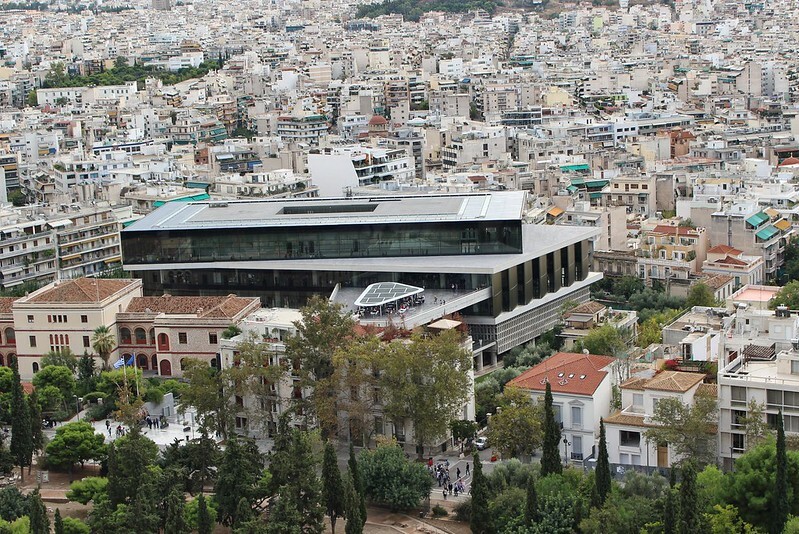 Tip of the week: Before visiting the Acropolis itself, do pay a visit to the Acropolis museum. 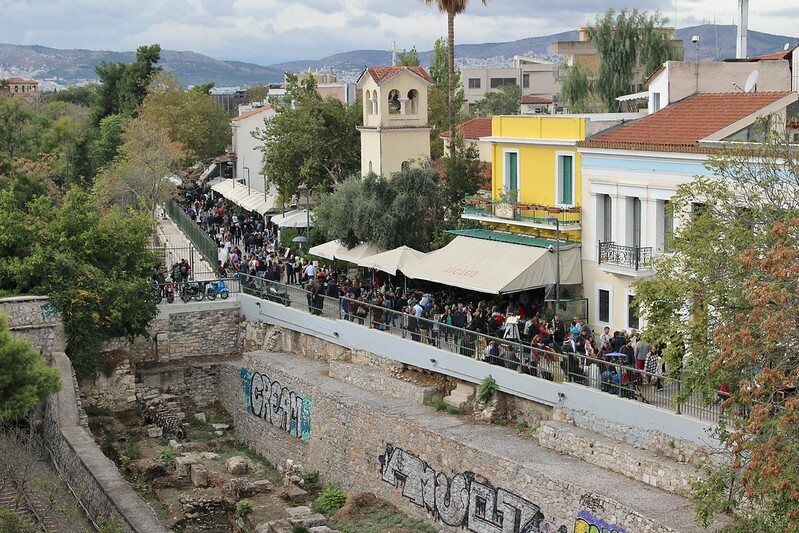 It gives a good overview of the history, so you then know what you're looking at on Acropolis. Archeologist-hosts can be found in the exhibitions, ready to answer all you questions without any extra fees! 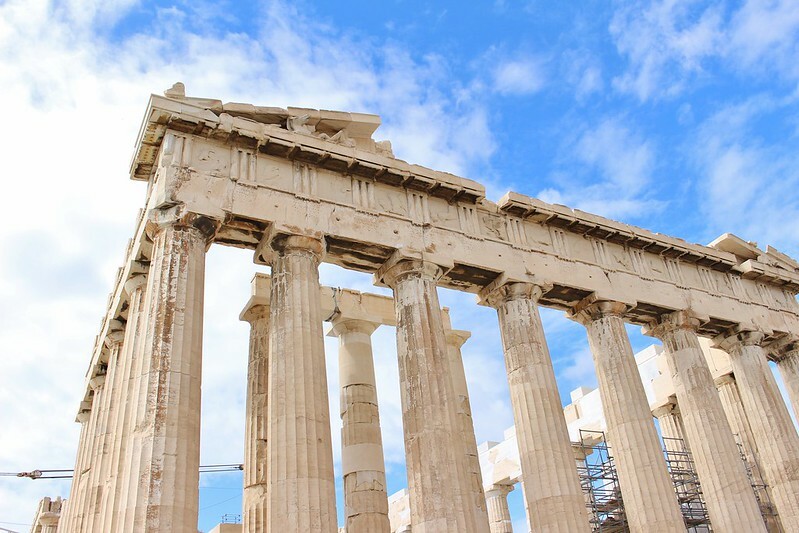 What I've learned: When we see objects from the Ancient Greece, we expect them to be white. To my memory, even the illustrations in my school books were mainly white. In reality they used vibrant colors in the statues and buildings. Blues, reds, yellows, bold ones. At the Acropolis museum you can see some replicas with the assumed coloring and it really was eye-opening. Memorable moment: One of the tours I did with TBEX was a trip to the Treno to Strouf railway carriage theater. What a cool place! They have old, renovated carriages from different eras. 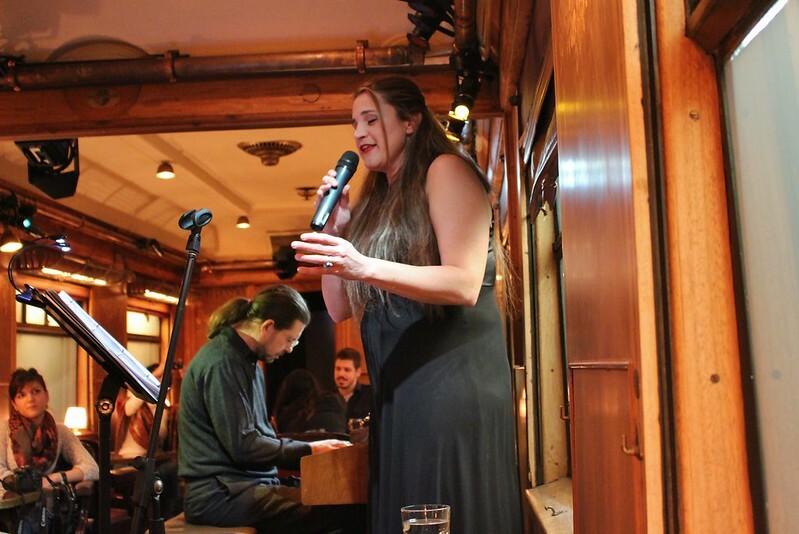 There's a carriage for theater shows, a bar opening to the yard, a pre-war carriage hosting a restaurant and Orient Express carriage for music and drinks. We had a lovely 3-course dinner at the restaurant, but the definite highlight for me was the show afterwards where a piano player and a lady with an incredible voice presented songs from different countries. The beautiful tunes, the atmospheric Orient Express carriage, and a glass of good wine in my hand. Such perfection. Surprise of the week: When it rains hard, Athens turns into a wading pool. Twice this week I got my shoes soaking wet, because in rain there's just no way to cross a street without stepping into a deep pool of water. For the actual TBEX conference days, I rolled my pants up and wore my flipflops on the way to the site, only putting on my shoes when I got there. The rain I got caught in on Friday evening was actually a big thunder storm. It didn't last long, but brought so much water on the streets that some cars were swept away and buildings flooded. I was huddling under a small roof with an old Greek couple, trying my best not to get soaked. 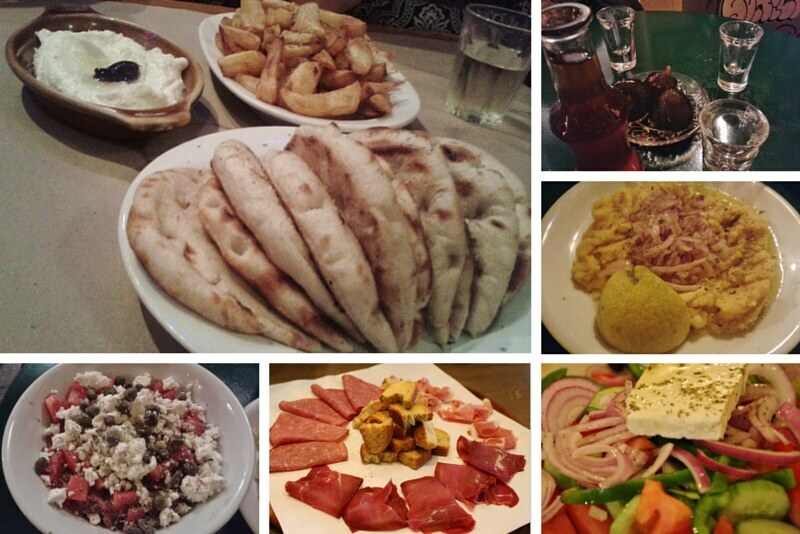 Food love: The small local eateries where you order many dishes to share with friends. Unpretentious and relaxed, colorful and comfortable, and always with amazing food. Our favorites so far have been the Salos Lagos on Troon street (near Petralona station, the street has also many other restaurants) and in center, the Mavros Gatos Ouzoria in Psyri. - Did you know that in the local places, not frequented by tourists, they don't even bring you individual plates, but you literally share the dishes, eating from same plates? And that you order the wine by kilo, not by liter? 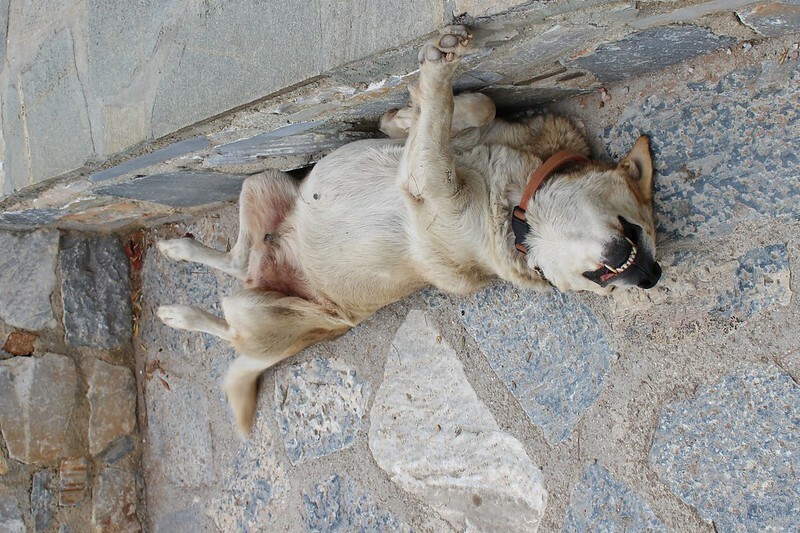 Random thought: While there are also cats here in Athens, this is more of a dog town. There are so many street dogs (although some of them seem to have collars, so they probably have a home and just come to the streets to hang out?). They are big and in good shape, and I haven't seen any aggressive ones. All of them seem to be just laying around and relaxing. Workwise: TBEX gave me so many ideas, thoughts and new friends. I learnt more about getting stats from Twitter, how to write a good pitch, what tourism boards are looking for, how to build a brand as a blogger, etc. I'll write another post about these, so I can also share my colorful notes (I'm practicing!). And that's it for our week. How was yours? This week's photos can also be found in our photo albums in Flickr. Disclaimer: The tours I did as part of the TBEX were provided for the conference participants.